GiveTrack is LIVE with Two Pilot Projects! GiveTrack successfully launched on October 24th and is NOW LIVE with two exciting pilot projects from The Water Project and Medic Mobile. The BETA release was announced during a presentation at Money 20/20 in Las Vegas. GiveTrack is our flagship project, offering a nonprofit donation platform for financial transparency and project outcomes in real time! You can learn more about this project here. We had a great time launching GiveTrack at Money 20/20 in Las Vegas this week. Our session was well received by an intrigued audience, and we made many new connections throughout the event. It was great to see a full-day track on Blockchain related topics and to see many of our friends and supporters throughout the events. We also hosted two Brain Dates that filled up fast with Money 20/20 attendees who were interested in discussing how Bitcoin and Blockchain technology can transform the nonprofit sector. A few of the press highlights from the launch at Money 20/20 include EconoTimes, The Merkle News, Bankless Times, Bitcoin Magazine, Nasdaq, and Forbes. GiveTrack features two amazing pilot projects in Kenya and Indonesia! The Water Project is raising funds for the Chandolo School Project to build a rainwater capture basin & latrines as well as conduct sanitation and hygiene training at a primary school in western Kenya. Medic Mobile is raising funds to expand the Desa Ban Malnutrition Program in the remote villages of Bali, Indonesia, using mobile technology and open source technology. 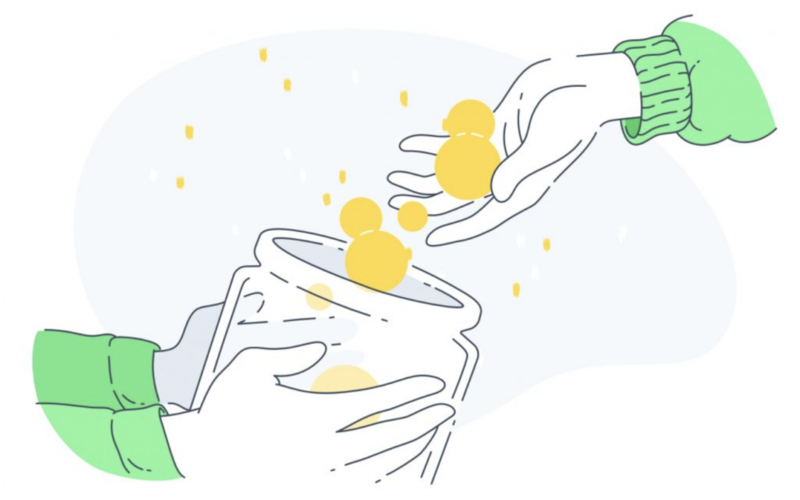 Learn more, contribute, and try out this new way of giving.